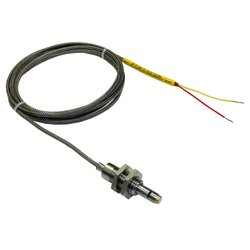 We hold expertise in offering wide range of superior quality of Thermocouple Sensor. These sensors are widely use for measuring temperature. Our offered products are made with best quality components for superlative performance and long service life. We are offering these products in market leading rates for our specified clients. Connection: As per customer specification. 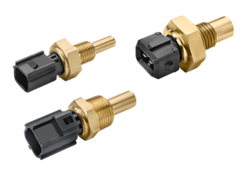 Our firm is among the trusted names, involved in offering Temperature Sensor. Experts make this product as per customer’s demand employing the advanced techniques. - Gain Adjustment For O/p Scaling Purpose. TYPE: 'J' [Fe/Ko], 'K' [Cr/Al], Pt-100, 2 Wire & 3 Wires, 'R' Type, SIMPLEX & DUPLEX, MINERAL INSULATED. SPECIFICATION AS PER CUSTOMER'S DRWAING & DESIGNE. Bulletin 900-CONV Temperature Sensor Interface Converter enables RS-232 or USB (series B or later converter) to RS-485 Communications between a Personal Computer (PC) using 900BuilderLite™ (900-TC8/ 900-TC16) or 900Builder™ (900-TC32) Software and up to 31 Bulletin 900-TCx Controllers—ideal for industrial applications.